One morning, she brought us some freshly baked, warm out of the oven cookies and I have never enjoyed a cookie more. We named the cookies after her and now the kids are 4 and 7 and we still enjoy “Bronwyns” every once in a while! 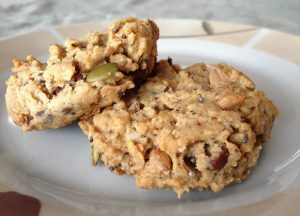 This recipe for lactation cookies is based on the original Bronwyn recipe with some nutritional tweaks for a lactating mom. The brewer’s yeast, ground flax and oats contain essential nutrition to help support lactation. 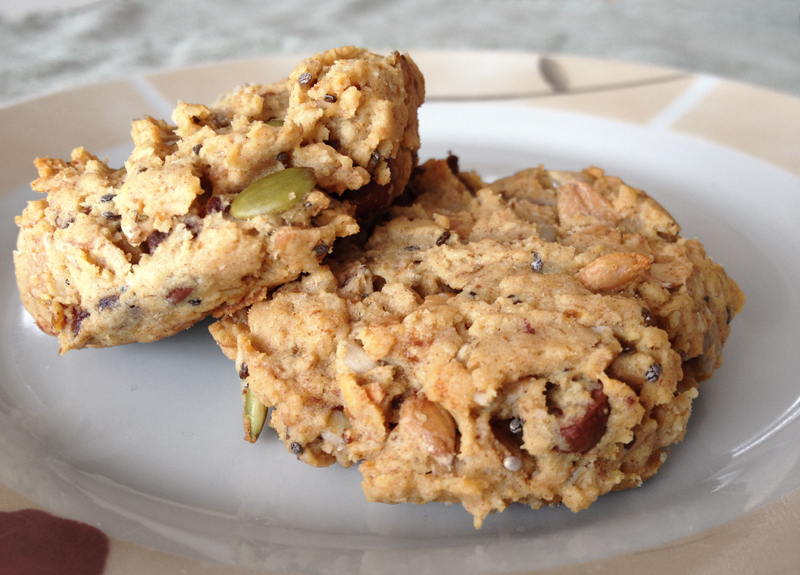 This version of the recipe was created with all of that lovely postpartum love-vibe in mind. Deliciousness for body and soul, from me to you! Whisk together the first 6 (dry) ingredients. Set aside. Cream butter and sugar. Add eggs and vanilla. Add the dry ingredients to the butter/sugar mixture and mix thoroughly. Add in dried fruit, seeds and chocolate chips and stir until combined. Drop tablespoon sized balls on a baking sheet and bake at 350F for 12 minutes or until lightly browned.